The Chamber of Commerce is proud to share the results of a study focusing on enhancing the Village of Carlsbad (Downtown Carlsbad). The study is the result of a community workshop that was conducted with the help of the City of Carlsbad, the Carlsbad Village Business Association, and Calthorpe Associates, a world-famous city planning consulting firm. The goal of the study, and the resulting materials available through the link below, represent the teamwork and creativity that was demonstrated by the workshop participants. 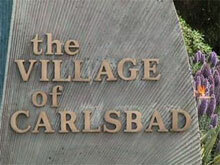 This work is the first step in a process to enhance the economic vitality of the Village of Carlsbad, and to make Carlsbad an even more desireable place to live, play, and enjoy. Please review the documents below and let us know what you think!